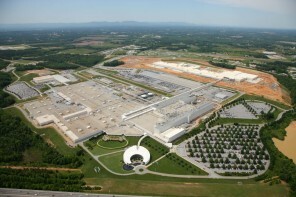 BMW Press Release: The BMW Group will be investing over a billion US dollars in the USA by the year 2012. The company is thus underlining its long-term commitment to the largest automobile market in the world. BMW ‘s US headquarters in Woodcliff Lake, New Jersey is being expanded at a cost of 100 million US dollars. On 12 June 2008, Ian Robertson, member of the Board of Management of the BMW Group responsible for Sales and Marketing, and Tom Purves, President of BMW of North America, opened the new buildings for the US sales region, which also include facilities for engineering operations and training. A workforce of around 1,000 will be working at the extended site. At the opening of the complex, known as the “BMW of North America Campus “, Ian Robertson said: “The investments are a clear sign of our strong belief in the potential of the U.S. market. We know that we have to invest in the world ‘s biggest market if we want to be successful on a worldwide scale. The long term market outlook for the U.S. is positive – even though the country is navigating through a soft economy today. The U.S. will remain by far the leading premium vehicle market in terms of size and impact and we are well prepared to be part of the growth. ” For 16 years, the BMW Group has been recording steadily growing volume sales in the US market. In 2007, over 336,000 BMW, MINI and Rolls-Royce vehicles were sold here. 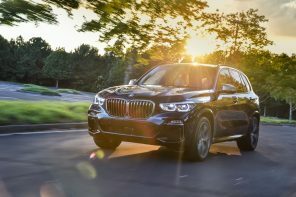 The BMW Group will be investing a further 170 million US dollars by the end of the year in two new regional parts distribution centres in Pennsylvania and Illinois. After their completion, the company will have six distribution centres in the USA for the rapid supply of spare parts to its BMW, MINI and Rolls-Royce trading partners. Back in March 2008, the company had already announced that it would be investing 750 million US dollars in the expansion of the BMW Spartanburg plant in South Carolina. This will take capacity from 160,000 to 240,000 units by the year 2012. The expansion will increase the size of the plant by 60 percent, or 140,000 m² to 370,000 m². In addition, 500 new jobs will be created at the site. The expansion of the plant means an increase in purchasing volume in the NAFTA region and also an increase in export volume. This is part of the implementation of the BMW Group ‘s natural hedging strategy. After the expansion, the Spartanburg plant will produce not only the BMW X5 and X6 models, but also the X3 for world markets.